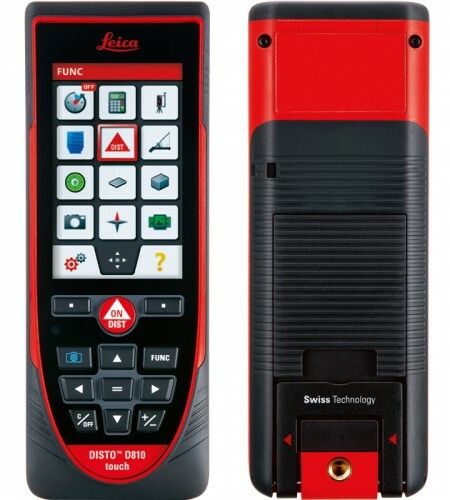 Worlds first: The Leica DISTO D810 touch is the first laser distance meter world-wide with a touch screen, allowing for quick and intuitive operation. Another revolutionary feature allows for measurements with pictures. Due to the integrated camera it is also possible to take pictures and download them with the USB-interface to a computer. 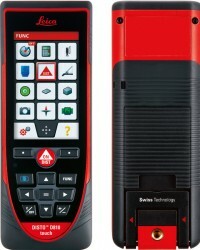 The high functionality is perfectly completed by the smart free app Leica DISTO sketch.